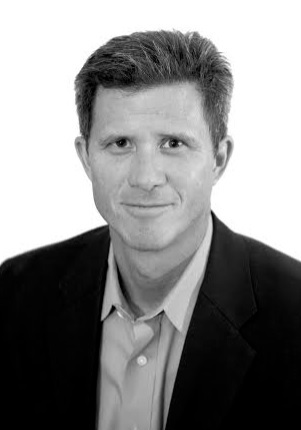 Richard is an experienced technology executive, with the rare distinction of having worked in operating roles on all four legs of the digital media stool: as a client; running several ad agencies; at several large publishers; and leading three ad tech firms. His teams have generated over $1.4 billion in revenue, and he’s led over $1.5 billion in M&A transactions. Richard is currently General Partner of Incline Capital Investments LLC, CEO of iSocket and Chairman of Technorati Media, where he formerly served as CEO. Previously, he was the CEO of MapMyFITNESS, a mobile health technology platform that was recently acquired by UnderArmor. He was also a CEO advisor at Weather Underground (acquired by Weather Channel), MyYearbook (acquired by Que Pasa), Skimlinks and Filament Labs. He has performed strategy consulting and was an Entrepreneur-in-Residence for Battery Ventures. How did you get into the tech industry? I was running a boutique creative agency back in 1994, when one of my clients asked me to build them a corporate web site. I remember the blazing bandwidth speeds back then, and the home page of that four page web site took about 2 minutes to download!! After that project, I was hooked and have been in some internet-related venture ever since. Tell us about iSocket. What inspired the idea and what is your vision for the company? 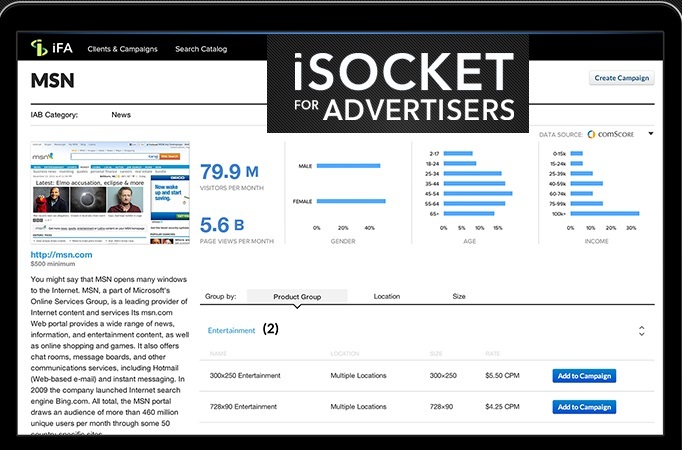 iSocket is a workflow automation tool purpose-built to automated the buying and selling of premium, reserved media. While most ad tech companies are built around RTB, iSocket is built to streamline direct, reserved sales, a $37 billion market. Most people outside the industry are surprised to learn that a typical reserved media buy requires more than 40 steps to complete and is largely executed manually. iSocket automates many of those steps, which frees up time for both publisher teams and media-planning teams to work strategically and create more unique marketing campaigns. There's been a clear need for automation in this section of the market for a long time, and iSocket was the first to address it directly. Our vision is to help premium publishers' teams (clients include Condé Nast, Microsoft, Fobes, and Rolling Stone) and media buyers transcend the minutiae of executing deals and focus on creating meaningful marketing opportunities. What strategic partnerships have you implemented that have attributed to your success? We have also made several strategic channel partnerships with DSPs and media-planning tools including MediaMath, Kantar Media, and Markit on Demand. These partnerships provide value to our publisher clients by helping them get in front of new demand partners (our partner's clients). 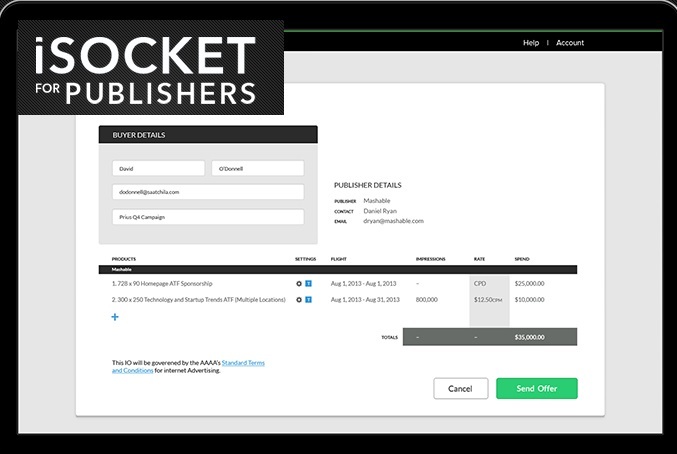 For MediaMath, we have an API partnership, so their users can actually buy guaranteed inventory from iSocket publishers, without ever leaving their TerminalOne platform. Publishers can secure new demand partners, and buyers don't need yet another log-in. If you haven't noticed yet, we think it's way to hard to buy and sell advertising! So I believe the automation wave has started and will only get bigger. On a personal note, I'm very interested in how much more time is spent on a mobile device vs desktop; this will continue to be a tectonic shift that drives tons of opportunity and innovation. I have too many mottos to list here - one for every occasion. But the one I use the most the start-up context is "momentum gets momentum". Keep moving forward! I love being an entrepreneur, but it's not for everyone. Know what you're getting into - which could be an entire interview in itself - and remember: you can be entrepreneurial even in a big company, a non-profit or just about any organization. Your greatest successes as CEO? Most difficult moment - how did you overcome and what did you learn? I don't really want to claim successes as a CEO, as the wins are almost always the result of a team effort. Being a CEO is a somewhat egotistical pursuit in and of itself, so I try not to let myself go there. As for difficult times, particularly for a start-up, every day is HARD, and I literally learn a dozen new things every day. On business: New York. For relaxation: any number of far away tropical beaches. Most frequented websites on your browser? A gourmet cheeseburger with a glass of cabernet sauvignon. Easy: hanging out with my 3-year old daughter. Role model - business and personal? Believe it or not, I don't really have any role models that I try and emulate. But I notice traits in people - both famous and non-famous - that I admire and try and incorporate into my own behavior. Most interesting headline you've read this week? I've been most entertained and perplexed by most of the financial sites the past 2-3 months, where one headline talks about the coming market correction and another right next to it saying now is the time to buy stocks. iSocket will be announcing some interesting demand partnerships in the near future. We're fairly well-known for our publisher sales automation and programmatic premium iFP platform, but our media planning and buying platform iFA is relatively new and unknown. We think that is about to change in a very big way, and iFA will surprise people. Stay tuned!